500+ Big Ideas from 50 modern classics by everyone from Deepak, Dyer and Covey to Abraham-Hicks, Tolle and Coelho. Explore ideas on how to let go of the past, and the importance of having *both* goals AND moment to moment flow. Learn to deal with the fear of failure. Learn how to create intentions throughout your day to put yourself in the driver's seat of life. 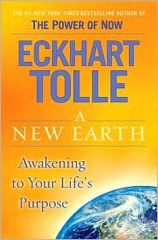 Oprah and Tolle rocked the wisdom from this great book in their special program and in the Note we'll explore Big Ideas ranging from how your pain body and shadow projections are getting in the way of your happiness to the secret of the art of living as we create the consciousness in ourselves that will help create a new heaven on earth. 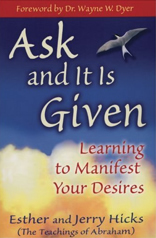 This is pretty much the Bible on the Law of Attraction and in this Note we'll take a look at how Esther and Jerry define The Law of Attraction (They say it's kinda like tuning your radio to the right station so you can hear the music you love! ), how to use your Emotional Fuel Gauge (that's one of my favorite Ideas ever) and how to create intentions throughout your day to put yourself in the driver's seat of life. 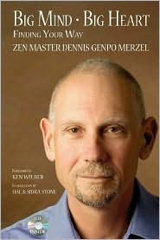 Zen Master Genpo Roshi spent decades figuring out how to best help people develop enlightened awareness and came up with his revolutionary process called "Big Mind". In this Note, we'll take a peek at some Big Ideas from the Zen Master including how the root of suffering (dukkha) is getting stuck in one perspective and how that's about as effective as having a Maserati stuck in first gear. We'll also explore the place beyond idiot compassion as we become integrated human beings giving ourselves joyfully to the world. 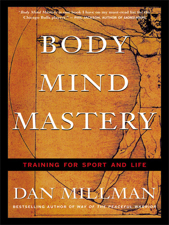 Dan Milllman's a former world champion gymnast and coach of the Stanford and Berkeley gymnastic teams whose got some Big Ideas on how to achieve Body, Mind and Spirit mastery. In this Note we explore a bunch of 'em including how to deal with the fear of failure, what we can learn from babies and how to build new habits as we become masters of our lives who shine everywhere! 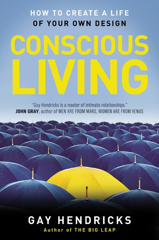 Gay Hendricks is a close friend and mentor of mine who encourages us to create a life of our own design as we enjoy the magic that unfolds when we truly commit to living an extraordinary life. In this Note, we'll explore Ideas on how to get our conscious living on including letting go of the past and the importance of having *both* goals AND moment to moment flow. Track bjmc07 - Do You! Who knew the Godfather of hip-hop was also an incredible yogi and spiritual teacher?!? In this Note, we'll have fun learning how to 'Do You!!' as we tap into the importance of having a powerful vision for our lives, the fact that a mantra is literally a 'tool of thought' we can use to shape our minds, and how important it is to take the next baby step in front of us as we give ourselves most fully to the world. Description: This is Dan Millman's magnum opus where he walks us through "The Twelve Gateways to Personal Growth" and in the Note we check out Big Ideas ranging from the importance of discovering our self-worth (and how to do so) to the fact that, although "Carpe diem!" sounds good, it's impossible to do. We can't "Seize the day!" but we *can* "Seize the moment!" or , as Dan says: "Carpe punctum!" Description: Brian Tracy is one of the classic modern self-development teachers and he's literally a Big Idea machine. In this Note, we'll have fun learning about the importance of taking responsibility in our lives and staying flexible (and, of course, some Ideas on how to do so!). We'll also check in on the importance of managing our time well by "one-touching" stuff and maintaining our optimism in the face of challenges. Gay and Katie Hendricks are among the world's top relationship experts. In this Note we'll check out some Big Ideas on how to get our Love on - including the importance of appreciation and the need to create at least a 5:1 ratio of positive interactions to negative interactions if we want to have great relationships. (Did you know that when you appreciate people their value appreciates?! Yepperz!) Plus we"ll look at the importance of re-committing and the acid test of healthy relationships. Marci Shimoff created Chicken Soup for the Woman's Soul and integrates great stories about happy people with scientifically established ways to boost our happiness in her great book. In the Note, we'll explore the fact that we all have a happiness set point that's genetically determined and dive into a bunch of Big Ideas about what we can do raise our happiness levels. Michael Gelb profiles the seven attributes of da Vinci's genius in his great book and in our Note we'll have fun checking out some Big Ideas including one of the most powerful exercises I've ever done called ""A Hundred Questions." The exercise literally shaped my life and I trust you'll dig it as much as I have. We'll also look at the power of affirmations (did you know da Vinci used them?!) and the body of a genius (did you know da Vinci was also an exceptional athlete?!). Fun stuff.